This is a great little game – it plays on a few other themes – all ways pays but this time on 4 reels rather than 5 reels giving 3 x 3 x 3 x 3 = 81 ways to win. 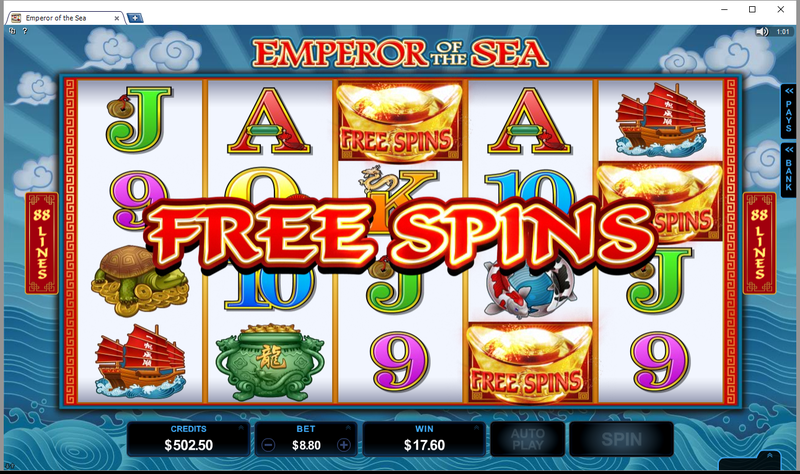 On each spin a random reel is selected (highlighted during its spin) and if a joker lands on that reel it expands to fill all 3 spaces of the reel. 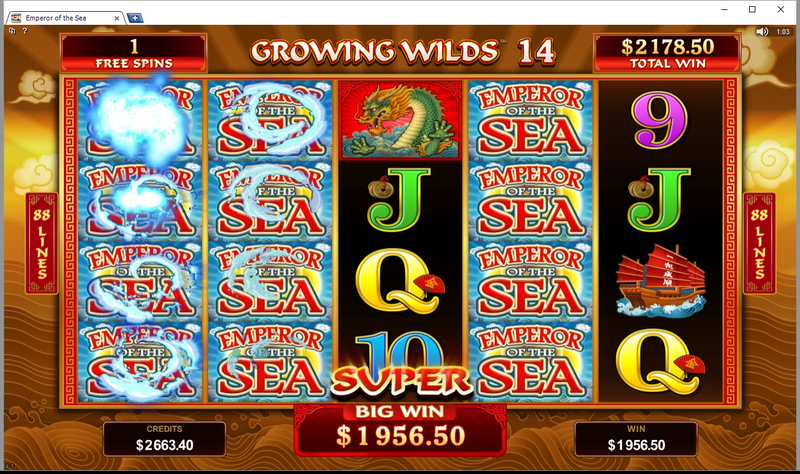 Joker is wild and if you complete a win with 2 Jokers as wild then the win is doubled, completing a symbol win with 3 Jokers will multiply the win by Five / 5 times! 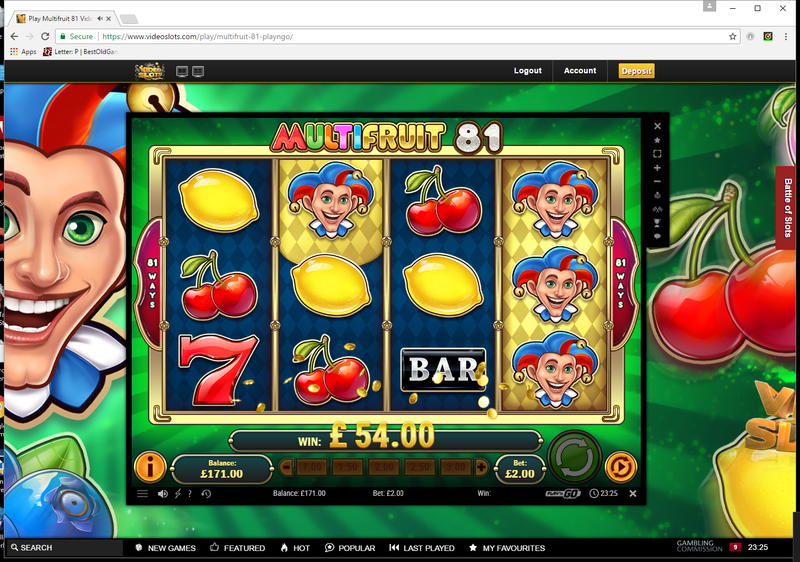 4 x Jokers pays 500x times the bet amount and if you are lucky enough to get 3 on a reel at a time this would be 3 times this (plus the wins of the other symbols that will be matched and multiplied). 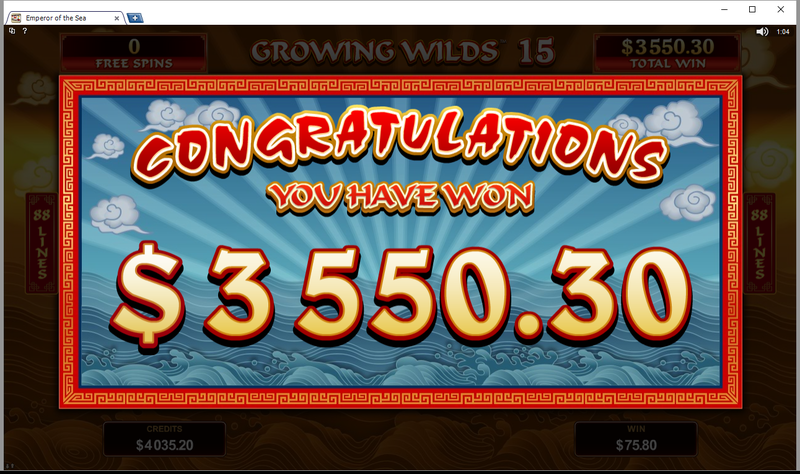 On my first play of this game, I hit a few reasonable wins – the best being 50x my bet amount. You can see some examples below. 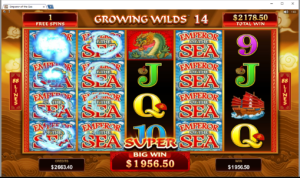 I was playing this at Video Slots Casino which has weekly cash-back and casino races where you can win a prize just for playing as you improve your place in the casino race every time you spin on eligible slots (most of them). Enjoy these few screenshots – I will add more to this if I get around to play it again. 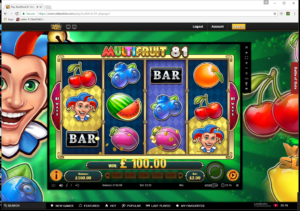 It is not the most exciting slot – it would be nice to have one with free spins, however, very good wins can be achieved in a single spin and it played nicely for me, with a few 20-50x bet wins. 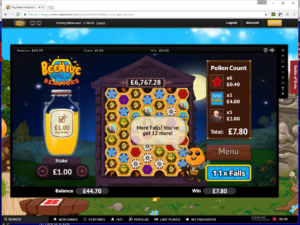 If you fancy trying a different casino you can find a full list of casinos with Play n Go software games also. 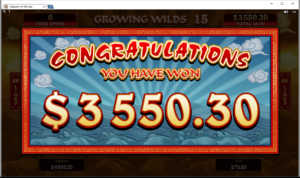 Raging Rhino is one of these “High Volatility Slots” in that you may not win much so often, but now and again there are very big wins like this example I got a few days ago. This is a 6 x 4 reel slot with 4096 all-ways (left to right) pay lines. 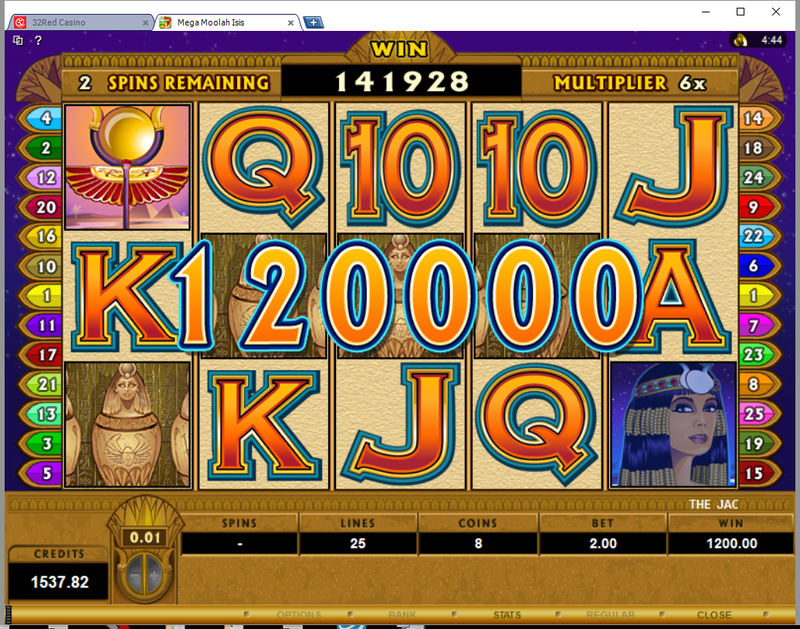 This win was on during the free spins feature which is achieved by getting 3 (or more crystals/diamond symbols). 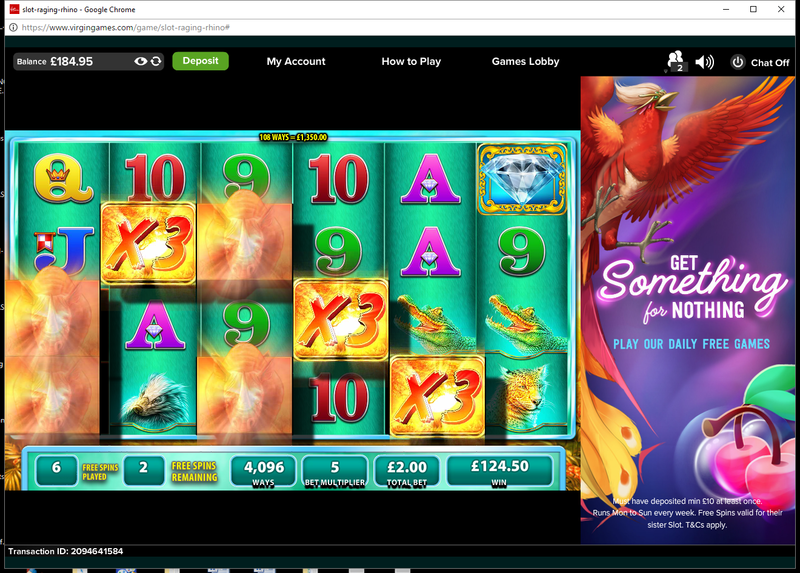 Getting more than 3 diamond symbols gives more free spins and a higher trigger amount. If you get 2 diamond symbols during free spins you get an extra 5 spins each time as well! During free spins, the Wild symbols will turn into either x2 or x3 symbols and these multipliers are multiplied together! 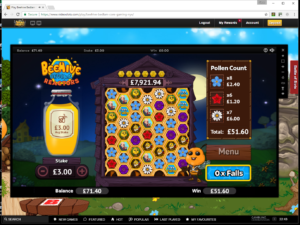 So in this real winning screenshot example – the win is x3 x3 x3 = 27 x times the win of 5 rhinos – which also are then 2 x 2 = 4 times). Wild symbols can appear on any of the 4 middle reels during free spins! I had to screen shot this a few times during the animations so you can really see how amazing it is! 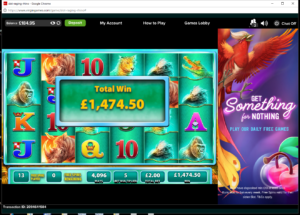 So, in total my free spins bonus on a £2 bet came out at £1,474.50 — a massive 737 x my bet amount! 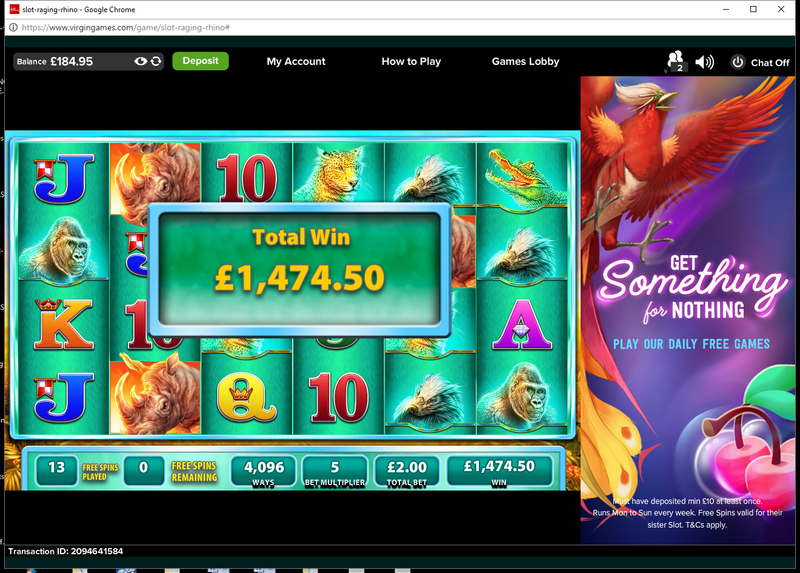 I consider anything 100x my bet a very nice win – so of course – this was most decent! 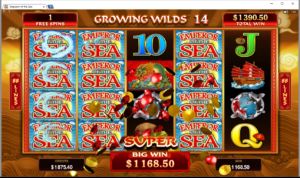 This was achieved at Virgin Games Casino where you can take advantage of a deposit bonus and also you can play their Free Daily Game (you only need to deposit at least 10 once to be able to play every day and at the end of the month to play the game for guaranteed free spins and cash prizes)! You can also play this at any other casino with games from Williams Interactive including Video Slots Casino too. 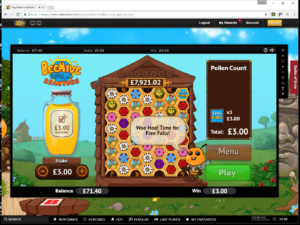 Here I am to tell you about a recent experience on the game Beehive Bedlam (produced by OpenBet software). 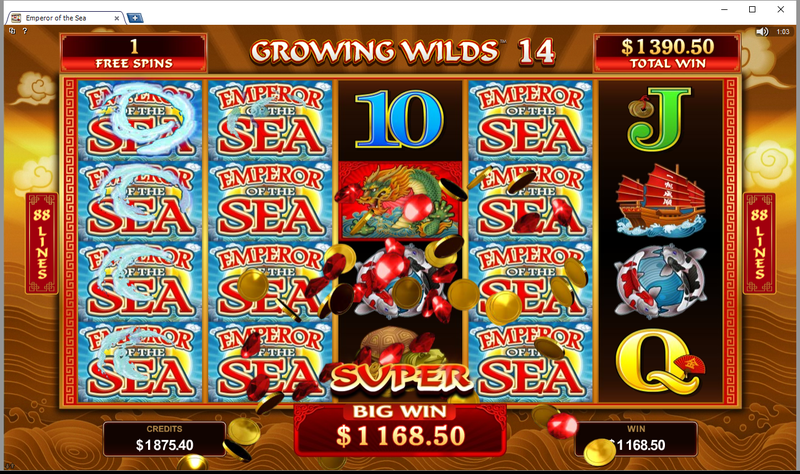 I always love trying new games and Video Slots Casino is a great place to do this for several reasons. See the link above for full details. It’s one of these more “casual” style of games – it’s not a slot game but its as random as slots and as such requires a lot of luck. 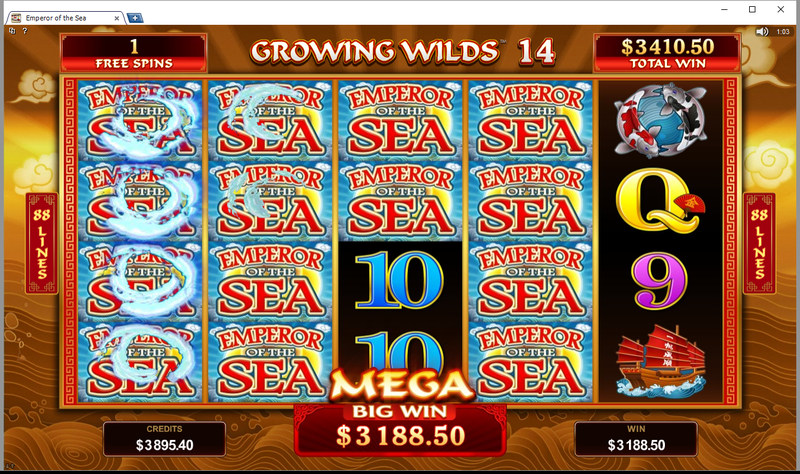 This game works in a similar way to other games where similar adjacent symbols create wins and then disappear to make space for more random symbols which then may in turn create more wins — this continues until there are no new wins during one play. You need 5 or more adjacent matching symbols to create a win (these can be adjacent in any direction), and the more matching adjacent symbols together – the higher the win. There is also a FREE FALLS feature! (like Free Spins) Always nice to have this in any game I think! 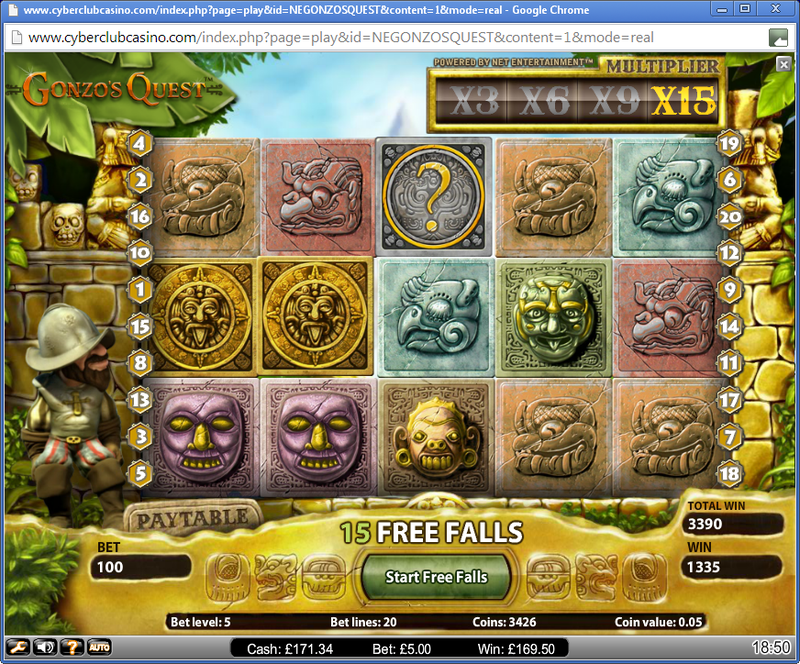 This one is triggered with just 3 or more adjacent Free Falls symbols (they must be adjacent – not just scattered!). 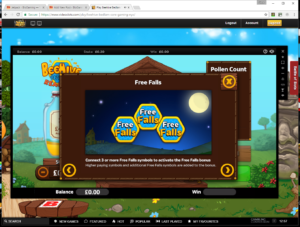 3 Free Falls symbols next to each other will bring you 8 free spins but more adjacent free falls symbols will bring more free falls – AND THEY CAN RE-TRIGGER! 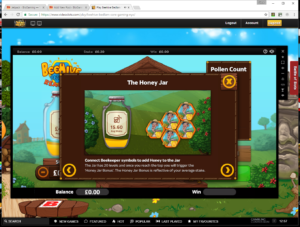 On top of all of this, whilst you play when you get a 5 or more adjacent Beekeeper symbols – a honey jar fills up. This honey jar builds up for a big potential bonus once full. 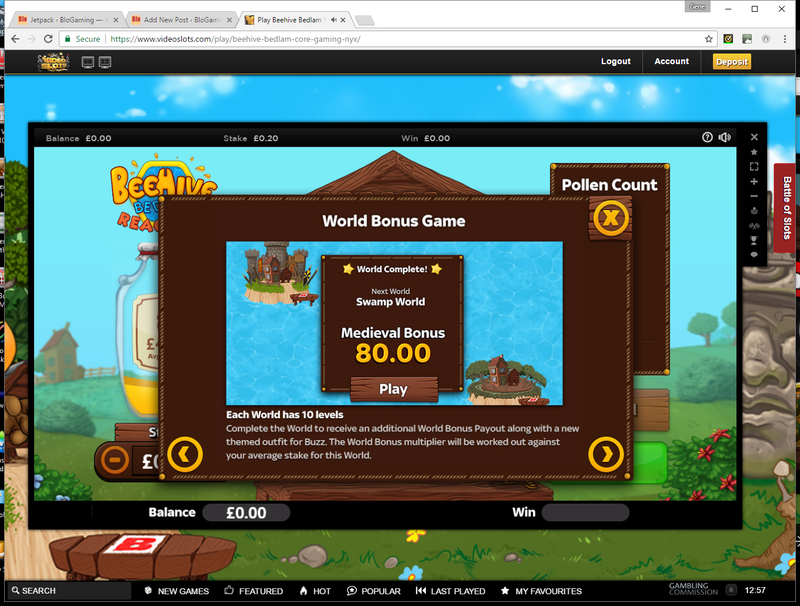 This is where the skill part of the game comes into play – you need to keep clicking the mouse button to help the bee jump, collect coins and avoid obstacles. 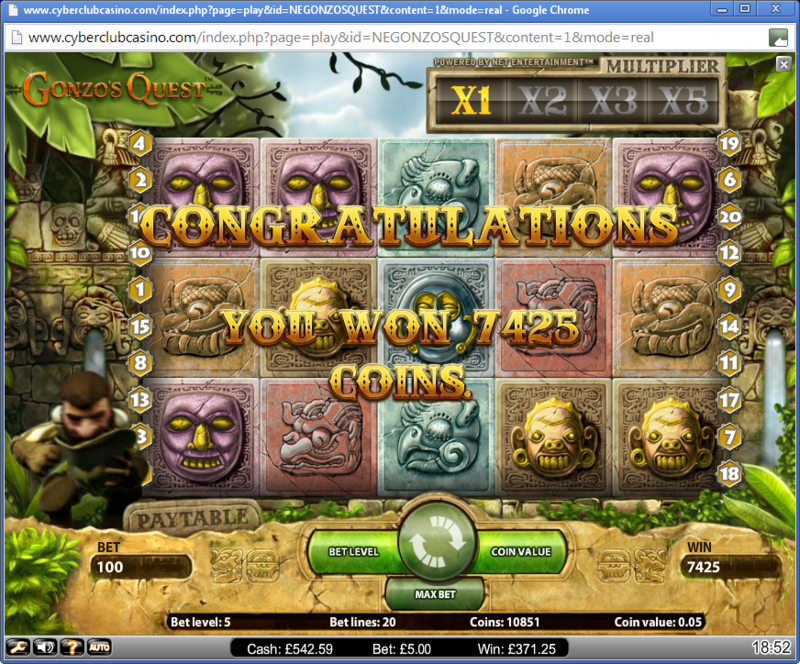 It seems the more you collect without bumping into obstacles the higher your win. 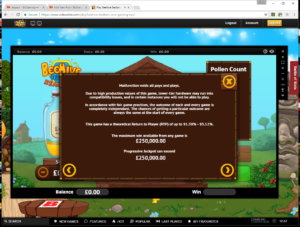 My screenshot here shows what I achieved on an average bet of £3 per spin (the honey jar bonus is based on your average bet) and I collected all but maybe 4 or 5 of the coins and I think I may have bumped into 1 obstacle. Don’t worry if you do bump into something – just keep on going! 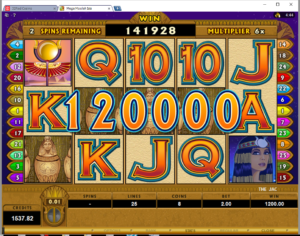 This game has a free spins feature (this can be re-triggered) and also includes at the end a possible JACKPOT bonus! 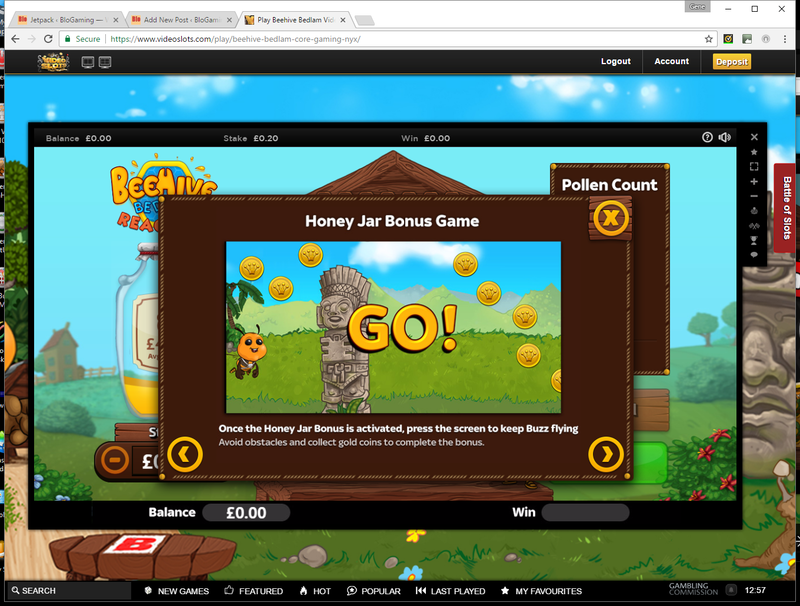 Fill up the honey pot and get your mouse ready to click to fly your honey bee into the coins and avoid the obstacles to increase your bonus! At the end of your free spins – see if you fill up the Jackpot symbols and look up to see how much you could win by hitting it! 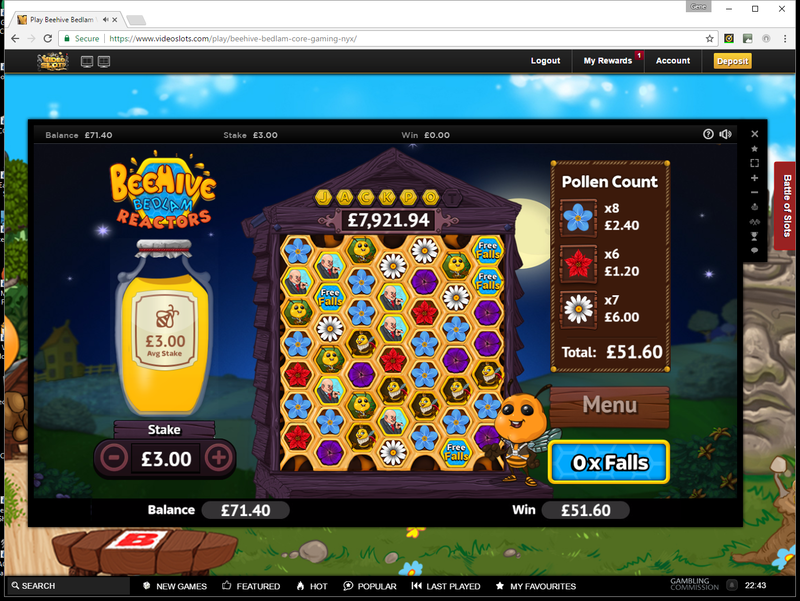 The above screenie shows Free Falls being triggered! 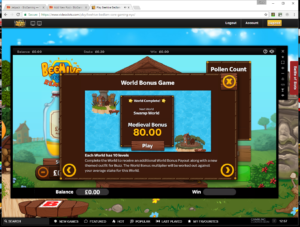 There are lots of different levels, with increasingly higher bonus prizes available. You will also collect various achievements along the way – try to collect them all! 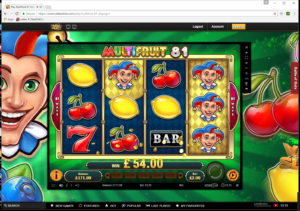 Play this and many more other games from many software providers – probably the biggest list of games from so many providers at Video Slots Casino. You can read more about Video Slots Casino (offering no deposit free spins when you sign-up) and a neat deposit bonus. Note: At the time of writing, this game does NOT contribute to the Monthly Casino Race where each bet (generally only slots) gets you extra points each time you spin a certain amount (please check for the latest amounts). Often Video Slots release limited time Vouchers to try out new games – these usually have no play-through requirements. 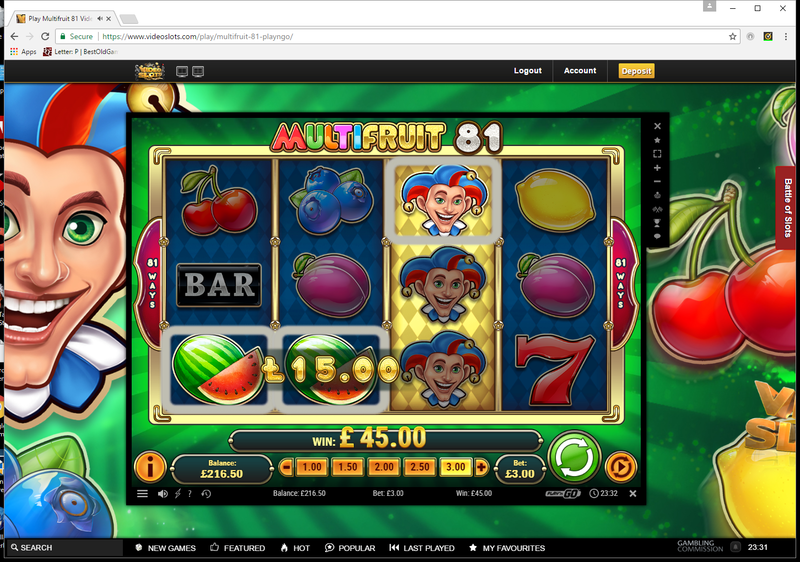 Any bonuses and rewards given by Video Slots also have very clear indicators whilst you play to see how you are doing / how much play-through you have remaining / remainder of any rewards etc etc. 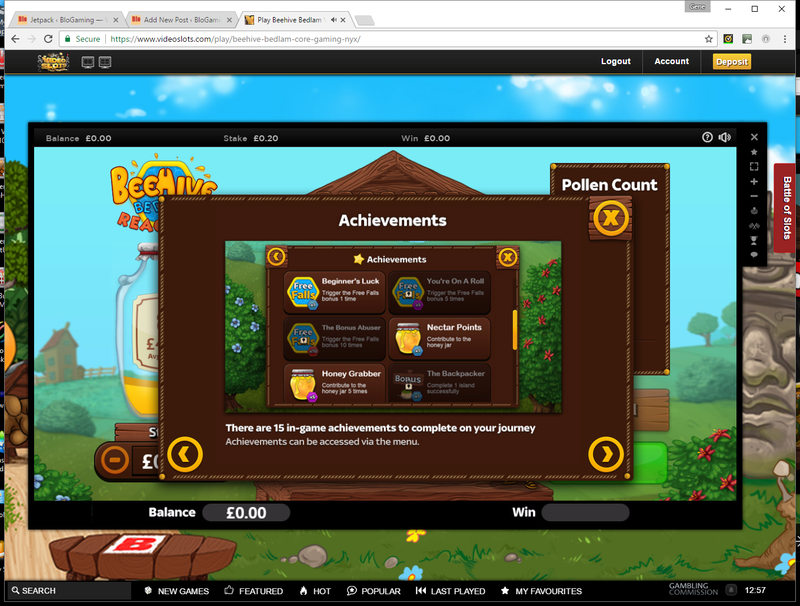 I will certainly be playing this game a lot more and trying to complete all the levels – I got up to level 4 so far! 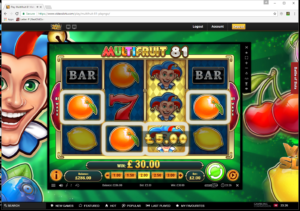 See Find Video Slots Casino Free Spins Vouchers here. Once upon a time… Almost everyone knows the story of Little Red Riding Hood. 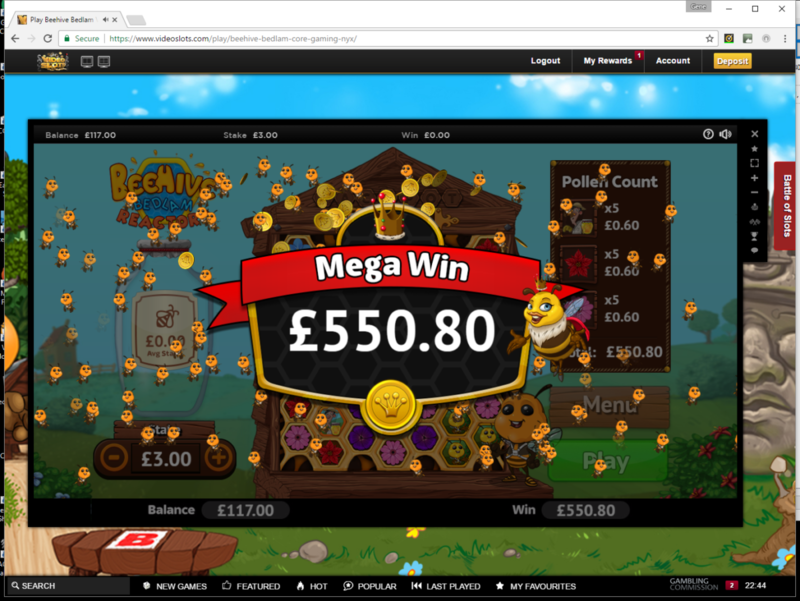 Now the story is back again and our players can be part of it – with the exciting NetEnt slot “Fairytale Legends: Red Riding Hood” at laplingo. 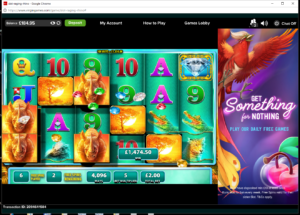 Lapalingo is celebrating the launch of Fairytale Legends with up to 100 free spins! Our players get one spin free for every euro of their deposit (one time up to 100€ deposit; e.g. 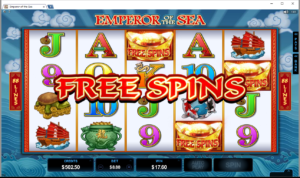 10€ = 10 free spins, 50€ = 50 free spins, 100€ = 100 free spins; promotion is valid until 7th November 2016). 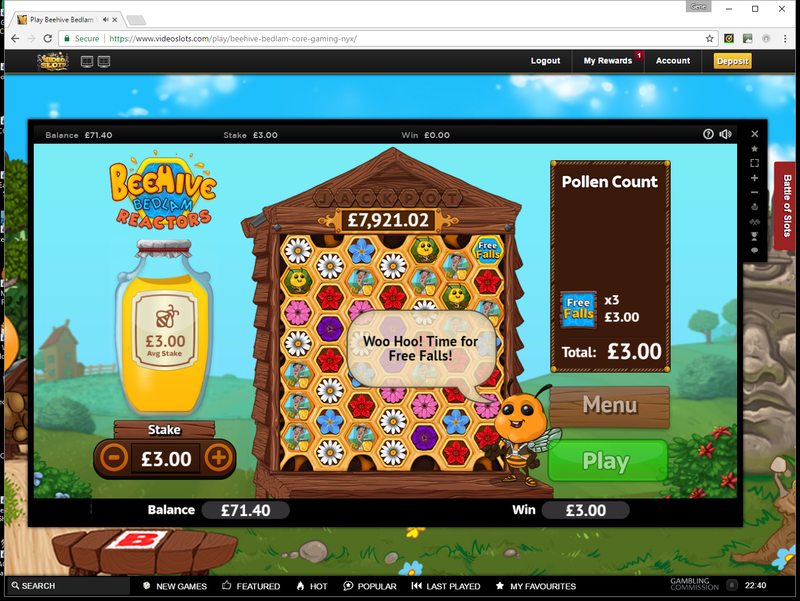 How it works: Login at lapalingo, make a deposit and receive free spins via our support team! Our support is available via live chat or e-mail us. We wish all our players a magical experience! 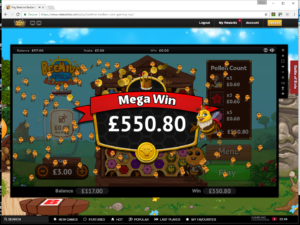 Raging Bull Casino 65 No Deposit Coupon! 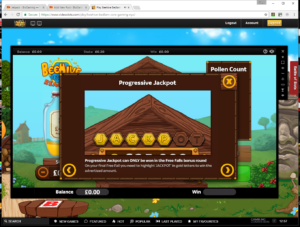 Daily Topic Draw – A Winner every day! 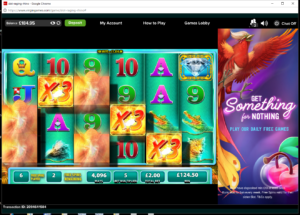 Up to 800 in bonuses – over 400 games! 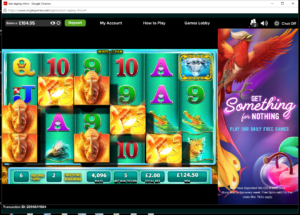 Founded in 2016, SpinPrive.com was established to provide quality entertainment to people who enjoy gambling, by giving them the opportunity to do so in a safe, fun, fair, regulated and secure and enjoyable online gaming experience possible. Featuring over 400 games from 17 different software suppliers that can be played on PC, mobile and tablet devices including iOS and Android – you are sure to find games you already know and love as well as many new ones too. 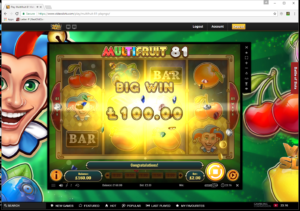 Enjoy up to 800 in match deposit bonuses starting with a 100% match up to 200 free with your first deposit, 50% up to 300 with your 2nd, and 100% up to 300 with your 3rd deposit!